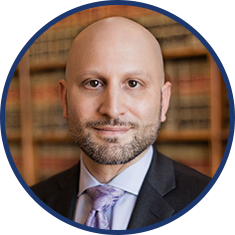 Christopher M. Scudero, CPA, CFF, CITP, CGMA is a Partner with RSZ Forensic Associates, a New York City-based forensic accounting and litigation consulting firm. Since 1998, Chris has focused his practice on forensic and financial investigations in the context of complex commercial disputes. He has been involved with engagements in many industries, and concentrates in the financial services, healthcare, and medical device industries. Chris serves attorneys and their clients relating to disputes, commercial and matrimonial litigation, fraud and forensic investigations, and regulatory compliance matters. He brings multidisciplinary expertise to his clients, combining his accounting and auditing knowledge and experience with his forensic skills and deep understanding of technology. His background includes a successful forensic consulting practice, twelve years with global and national accounting and consulting firms, and medium-sized accounting practices in the New York Metro area where he provided accounting, tax, assurance, and forensic services. Throughout his career, Chris has provided project leadership on international financial investigations, commercial damage claims, high-net worth matrimonial cases, and complex investment strategies. He has also provided expert witness testimony in court and arbitration. Combined with experience-based insight, Chris consistently provides measurable results to trial counsel, client management, and corporate boards. Chris is an Adjunct Professor of Forensic Accounting in the Graduate Program of the CUNY Baruch, Zicklin School for Business. Sharing his real-world experiences, Chris offers students additional depth to complement their study of this complicated topic. In addition to his professional activities, Chris has actively volunteered in support of various organizations assisting victims of domestic violence and their families. Through Fordham Law School, Chris has presented at the Annual Fordham Forum on Domestic Violence, addressing forensic and other accounting issues relevant to pro bono litigators. Through his relationship with the Legal Aid Society, he provided analyses that was integral in creating the Temporary Maintenance Guidelines Legislation. For his support, service, and assistance with several client matters, Chris was honored by the Society with an “Outstanding Individual Assistance to the Society Award,” which was presented by the Honorable Jonathan Lippman, the Chief Judge of New York State. Financial Services Firm – Chris assisted a large financial services firm reconcile transactions due to a breakdown between the firm and their funding bank due to a run on one of the firm’s financial products. Chris successfully led a multidisciplinary team of consultants and client staff to bring together hundreds of thousands of individual transactions under intense market and regulatory scrutiny. Medical Device Intellectual Property – Chris led a team of consultants, and provided expert witness testimony in the resulting arbitration, where he assisted counsel and their clients with their claims against a medical device manufacturer. The investigation encompassed determining unreported sales in addition to reconstructing manufacturing output and inventory amounts on a global basis from incomplete and/or partially inaccessible records.